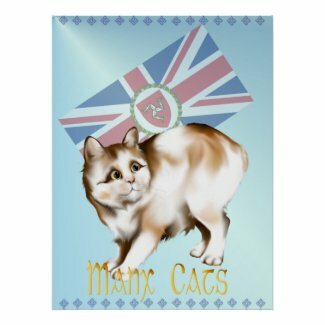 Manx cat pictures make fun and affordable gifts for cat lovers. 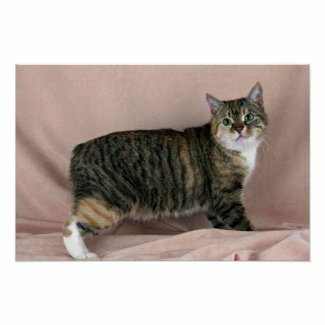 You will find several posters and prints featuring Manx cats to choose from. 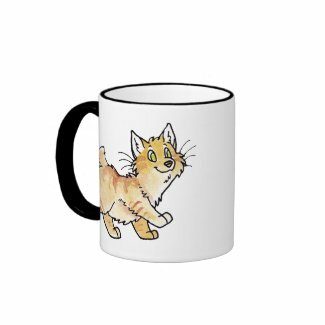 In addition to posters, you will find a wide array of items inspired by these unique-looking felines: calendars, t-shirts, home décor items, and more. It should be relatively easy to find the perfect Manx-inspired gift. You will find several ideas here. So what makes these cats so special? 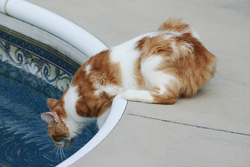 Manx cats' best-known characteristic is their lack of a tail. Cats of this breed are born without a tail or with a very short one. Interestingly, this trait is all-natural. It is the result of a mutation of the spine. These felines come in all "cat colors": black, white, orange, etc. They also come in different patterns, including: bi-color, calico and tabby. The following posters and prints are brought to you in affiliation with AllPosters.com. 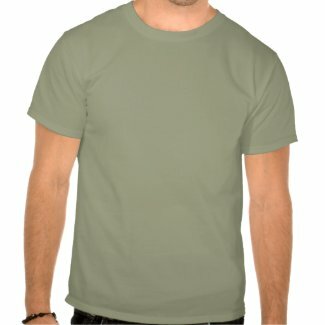 sell your art prints online with Zazzle.